Discussion in '3rd Gen Tundras (2014+)' started by Electron_si, Apr 13, 2019. 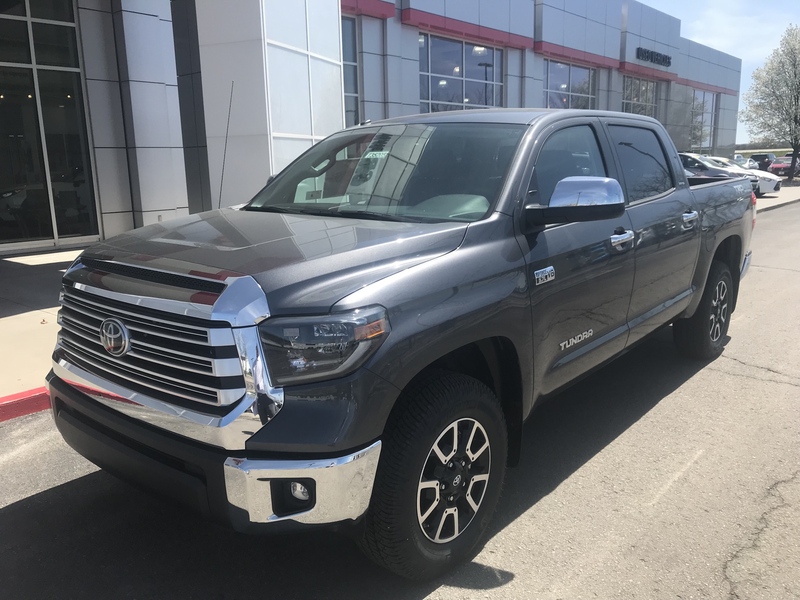 I spent a lot of time on this forum going back and forth between a Sierra and a new Tundra. Wasn’t sold on the tundra interior but reliability and resale ended up swaying me in the end. Worked with a couple dealers online and finally got down to a price I was happy with. 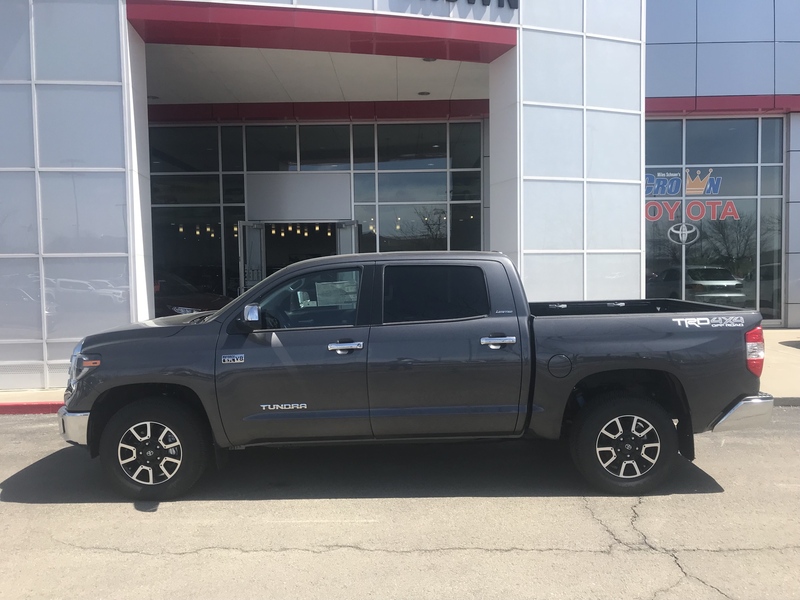 Used the $2500 rebate and got them down to $41,000 plus TTL for a 2019 Crew max limited. The added options were all weather mats and a spray in liner, it has black interior. I’m still deployed so it’s sitting in their indoor warehouse for a couple weeks until I can go get it. This dealer was super easy to work with, did everything via email and 1 phone call. Looking forward to picking it up. dpeach, Max Power, Tracy Perry and 9 others like this. Superior color choice! Welcome from Colorado. You have a beautiful rig waiting for you. Congrats on your purchase. You chose wisely.I came from a Sierra. Welcome from Indiana. Nice ride, and thank you for your service! Bakflip Revolver X2 ,Nestahedition Firestalk antenna, TRD dual exhaust, WeatherTech liners, in channel deflectors, 20% tint front, Tundra bed mat.AFE pro dry s filter,SA XDM 3.8 compact 9mm., Wheel to wheel N-Fab 3 steps.Lamin-X yellow on fogs, Bilstein 6112's top setting, BFG KO2's 275/70-18.Pioneer HU, JL RD amp, Focal speakers everywhere. Welcome from WA, excellent choice and great price!! Dittos.. thanks for your service and be safe! Nice truck. You'll love it. Hi and welcome from SoCal!! !